Water, tomatoes (8.6 %), Coconut (6.4 %), onions (6.4 %), canola oil (4.3 %), garlic (4%), salt (1.8 %), tamarind, red chilli powder, sugar, ginger, herbs & spices. I was really looking forward to this cook in sauce because of the Vindaloo name. I understand that Indian cuisine is more about flavour than outright heat and because of this I can accept that the heat isn&apos;t actually that hot. Purists will want to add a chilli or two extra. Packaging gets a 10 from me, we have got some lemon juice and egg white in the same packet and the way the top is resealable and directional for pouring is great plus it is really easy to open or break the seal with the built in perforator in the lid. 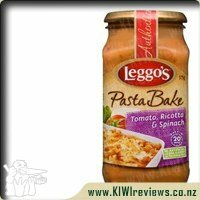 Consistency wise it has a very low viscosity and therefore will really splash and make a mess if you treat it like a pasta cook in sauce. When cooking it has an oily appearance but this is just part of the Vindaloo and we were not worried at all. The sachets are a great idea and like the instant noodles you can buy this allows you to control the trimming flavour to exactly how you might like your taste. Some products miss this crucial step and force you to just straight out like what they have made. Price wise it is really good. I am happy with the under $5 mark which in my opinion provides a scalable flavour mixing option, easy opening and disposal vs a glass jar with no added sachets. Great product. When I got this I was rather concerned that it says it is a hot sauce, something I don&apos;t usually use due to my kids and myself not liking anything too hot but, it&apos;s still good to try now and again to see if ones taste buds have changed. 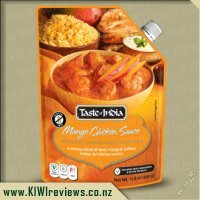 This, like the others comes with some spices in a couple of sachets, which are not easy to open and thus require a sharp knife or scissors to open them, a little frustrating. Pouring it into the frying pan I did notice that it was rather runny so had to adjust my pouring so as not spill any out. Leaving it to simmer away, I went vegetarian and added in some &apos;fake&apos; chicken to the dish along with a cup full of vegetables to bulk it out. I did find that there was a film of oil on the top of the sauce, which was rather off putting and I did my best to get rid of some of the excess. Giving it a taste it wasn&apos;t as hot as I was expecting it to be but I still added some coconut milk to the dish. Serving it up with rice my husband gobbled it down, my mother complimented the sauce and my children slowly ate it whilst I enjoyed it but I didn&apos;t love it. I might see us getting this again for the family but only if on special. 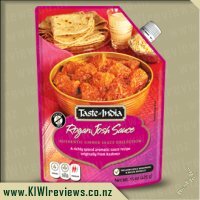 When it comes to food I love anything Indian it&apos;s one of my go to takeaways so I have really enjoyed being able to review lots of the taste of India range. 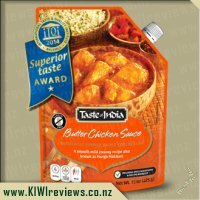 I really like how easy the packets are to use and that they have a long shelf life great to keep in the pantry for those last minute dinners when you arrive home from work late. I usually go for a medium curry so I when the vindaloo indicated it was hot I made sure I had extra coconut cream on hand to add to the sauce if I needed to tone it down a little. Once again it was super simple to use chop up some meat or in my case cheat and buy it already diced. I chose beef strips to make mine with. Add some oil to the pan, throw in the spices and meat and brown before adding the sauce and simmering. Adding the spice mix near the end, it couldn&apos;t be any easier if you tried and it takes half the time than the local Indian shop usually takes! When it came to the end I prepared myself for a smack of heat when I tasted it so I started off with just a little spice mix. I was surprised though on tasting it to find it very mild so I soon threw in the rest of the mix. While it did up the heat it didn&apos;t up it to the point I couldn&apos;t eat it, in fact it was the perfect heat for me. 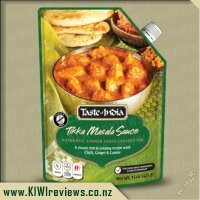 While I did enjoy it and the flavour was true to a mild vindaloo I did find this sauce a little watery and oily not as thick and creamy as I&apos;m used to. 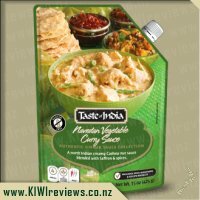 I would have the vindaloo flavour again but it wouldn&apos;t be my first pick out of all the flavours I have tried in the range. Been away from here for a few years while I was overseas doing my mission work for the LDS. Got back and found I had missed out on so much and wanted to get back into it. 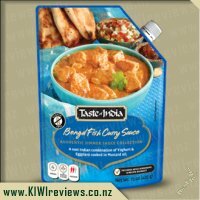 Was given this to review because I got a taste for curries where I was serving. Almost any animal can be eaten if you cook it in curry, garlic or chilli sauce long enough. This sauce really impressed me with how easy it was to make and eat. Following the directions on a recipe has never been one of my strongest skills, so in my usual style I just jumped right in and made it how I felt it should work. Fry onions, brown the chicken, tip in the sauce, add a little bit of water, turn the heat, cover and leave it alone for half an hour. When I checked on it again, it wasn&apos;t fully cooked so I covered it up again and left alone for another 20 minutes and that was perfect. Serving this on some rice that was steamed with coconut water made two generous portions so my flatmate and I could share a meal and our opinions. We both agreed it had a nice kick to it without leaving you gagging for something to take the burn away. 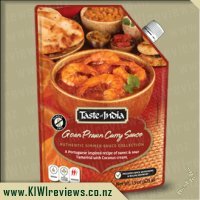 My flatmate is more into Indian food than I am and he felt it was as close to authentic as a mass-produced product is ever going to get, and he commented on how clever it was to have the spices stored in the pouch so the user could add as much or as little fire as they wanted. 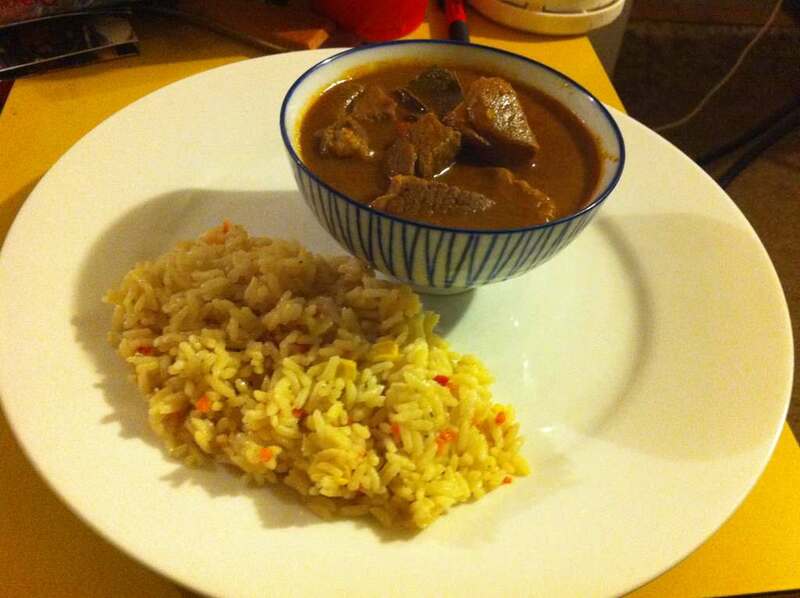 I think it was a good move to serve it with coconut rice as that quieter flavour took some of the sharpness off the sauce, which made it tolerable for me. I have found myself drawn more to the softer curries than the hot ones, but this was still in the safe zone for me. 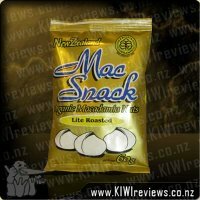 We will be buying this again, thanks to KIWIreviews. 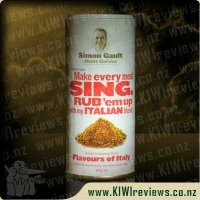 I was lucky enough to be chosen to review this product. I was looking forward to trying a nice hot curry as the "chilli indicator" on the packet indicated 3 chilli&apos;s being hot. I was pretty disappointed after cooking it to find it didn&apos;t have the spice and/or heat that I imagined it to. A vindaloo to me, is a hot and spicy dish that makes your eyes water. This didn&apos;t do it for me. I added in the extra spice packets but even then it didn&apos;t make a world of difference. Again, I love the pour spout that these curries are in. 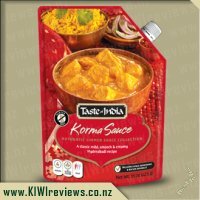 It makes it easy to pour and also easy to squeeze out the remaining curry that maybe lurking behind in the packet. This curry in my eyes was very watery, it didn&apos;t look creamy like a curry and it also had a bit of "oil" residue that came to the top of my pan while cooking. I did make sure I had drained my meat etc before adding in the curry so I am not 100% sure if it came from the packet or potentially from the meat I had cooked to go with it. All in all I found this to be an average flavored curry. The heat thing was a bit killer for me as I love hot curries and the three chilli indicator on the packet drew me to this flavour as I love spice and heat. I followed the recipe attached and used lamb for my meat. The packets of spices aren&apos;t easy to rip open, but a quick chop with the knife it was accessible. Be sure not to just tip the whole spices packet into the pan. take them out carefully, as the leaves may stick together otherwise. 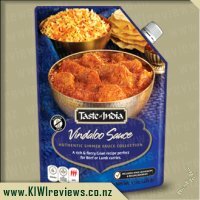 Labelled as a "hot" vindaloo I was looking forward to finding a brand that provides an actual hot product. The directions specify to add "as much or as little as desired" which also hot my hopes up that it would be spicy. Unfortunately, the spice was not what I would consider hot, barely even medium. There is a slight tingle of warmth, that lingers with the aftertaste. 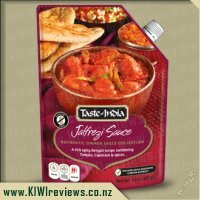 The flavour is consistent with vindaloo, and is full with no overly strong or offensive tones. Be cautious when you pour the sauce into the pan, as it is very runny, and oily; so be careful for splashback, and be sure to mix it frequently. This has probably been my favourite of the four that I have tried so far (followed closely by the Madras), and just required two birds eye chilis added, to bring the flavour to full strength.